← I heart Corey Hart. It’s Handshake Day and I have several to share with you. It was a great day for handshaking. I started thinking of handshakes I was envious of as a child. Two came to mind. The Parent Trap and Boy Meets World. The video of Parent Trap is of Annie and Martin, her butler. Martin is maybe the best character in that movie. Also, a confession, I thought that Lindsay Lohan was a twin when I saw that movie. I was so boggled when I found out movie magic created two Lindsays. The video from Boy Meets World is the handshake between Corey and Shawn. They modify it so they will look cool in high school. Boy Meets World is still one of my all time favorite TV shows. I occasionally make BMW references in conversation. I need to have those on DVD. Feel free to gift me those. Enjoy the vids. I had a really great handshake today. Maybe my most favorite handshake ever. That is Evie Jane Powell. She was born on Sunday. She is the youngest human I know. 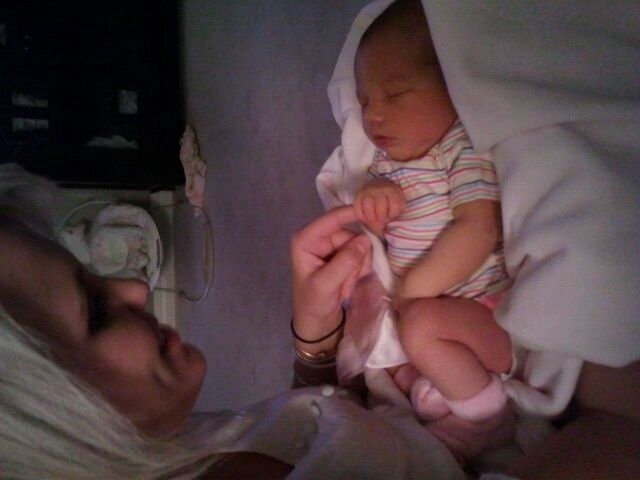 I got to hold her for a few hours tonight and I just love her. She is the sweetest little nugget. I’d say handshake day was an incredible success. Thanks for the pic of sweet Evie. Graham’s birthday was Friday, so they are only two days apart! Well, one year and two days. Close enough. Also a fun fact…her half birthday is Boxing Day. G’s half birthday is Christmas Eve. I would so love to see those pictures! !